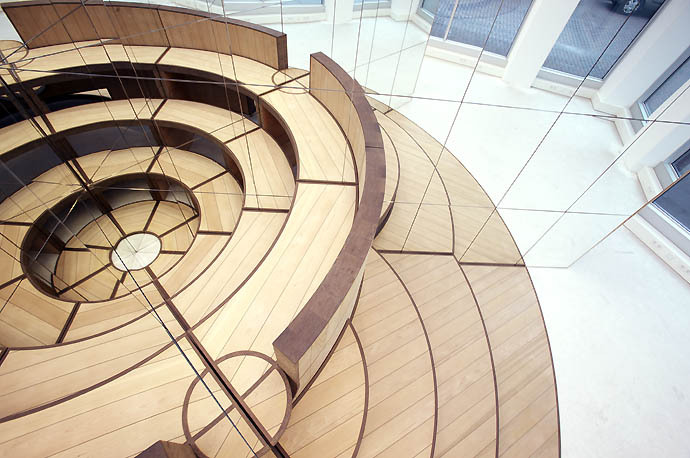 This wooden structure is one eighth of an amphitheatre that needs the mirrors on the inner walls to complete the reflection. As in life, only from the perspective of the viewer does the possibility of a meeting place emerge. Encounter Place, first variation was possible thanks to the support of the Rijksakademie van Beldeende Kunsten in Amsterdam. 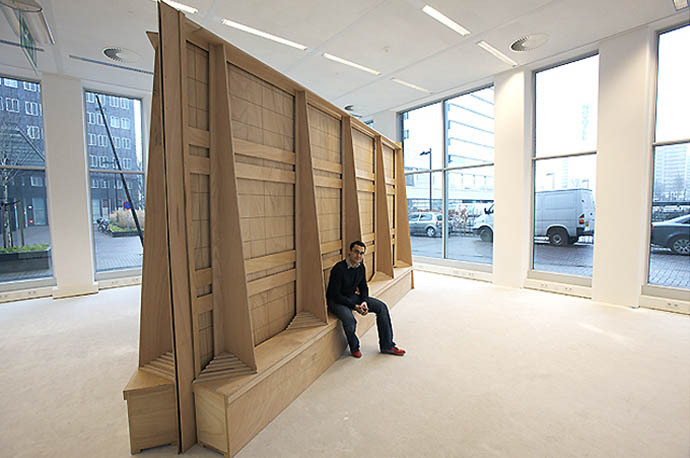 This piece, presented during the 2006 annual Open Atelier, involves a multi faceted structure that functions both as a meeting point for people as well as a space for self-reflection. 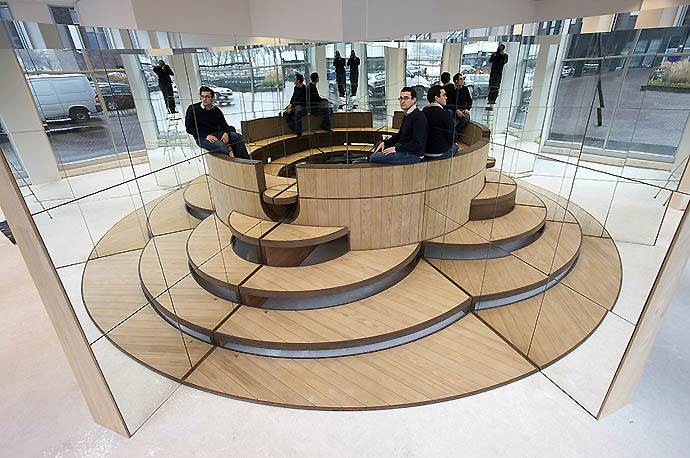 The Installation creates a metaphorical island of peace where somebody can see him/herself reflected or it can also function as a place that attract and enhances the presence of people. This spiritual yet collective experience have become a strong point in Inti’s research into ideas encountered beauty and practicality; something that may well be constructed but that only reveals itself once people, organically start participating; something that may be personal but that does not exist in isolation.